"The world is strange…" Indican Pictures has released a trailer for a funky indie film titled Poor Boy, from filmmaker Robert Scott Wildes. This actually premiered at the Tribeca Film Festival and New Hampshire Film Festival back in 2016, but it has been waiting for a release and is finally going to hit a few cinemas this year. Poor Boy is about two misfit redneck brothers who run various cash scams in the desert dreaming of getting out. When the bank threatens to repossess their junky home in the Nevada desert, they "cook up an epic con to finally leave their dusty town behind and sail off into the sunset." Lou Taylor Pucci and Dov Tiefenbach star as the two brothers, and the cast includes Justin Chatwin, Amanda Crew, Pat Healy, Amy Ferguson, Dale Dickey, plus Michael Shannon as a sad rodeo clown. This looks a bit too insane. Two misfit brothers (Lou Taylor Pucci & Dov Tiefenbach) hustle various cash scams out in the desert while dreaming of getting out. When a mysterious woman threatens them, the brothers cook up an epic con to finally leave their dusty town behind and sail off into the sunset. 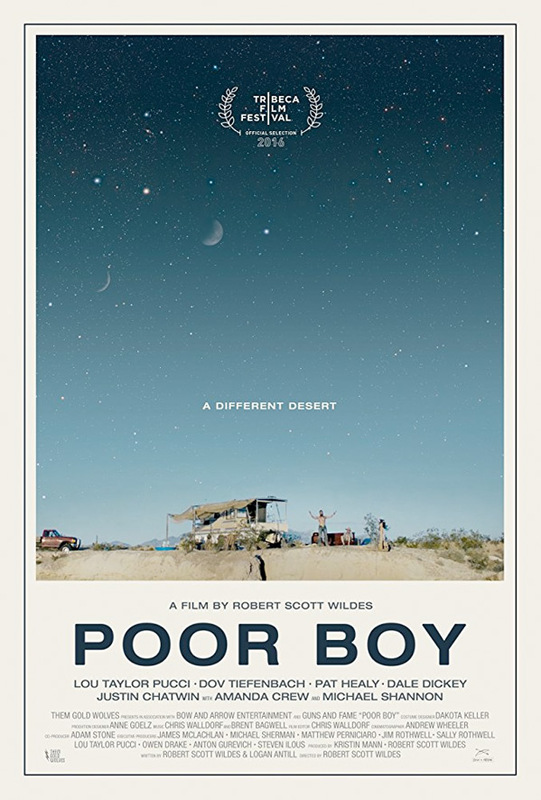 Poor Boy is directed by American indie filmmaker Robert Scott Wildes, of another film titled In the Cloud, and a few short films previously. This film is his feature debut. The screenplay is written by Logan Antill and Robert Scott Wildes. The film first premiered at the Tribeca Film Festival in 2016, and is finally getting released this year. Indican Pictures will release Poor Boy in select US theaters starting in July. For info, visit Indican's website. Anyone interested?